Virtual Interior Design is available for clients that wish to have access to a professional interior designer, without the designer price tag. E-Decor works by completing a questionnaire and providing us with pictures of each wall in the room that you wish to decorate, along with exact measurements. Once all the information is collected along with full payment, we will follow up with either a phone or skype conversation so that we can get to know you and understand your project more clearly. 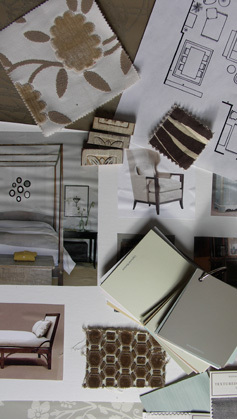 Then we will provide you with a detailed plan on how to create a beautiful, comfortable room yourself. To get started, contact us for our questionnaire, you'll have your new design within weeks! The completed project takes 3 weeks after we receive everything from you. Every project varies in size, so please contact us for a detailed quote.